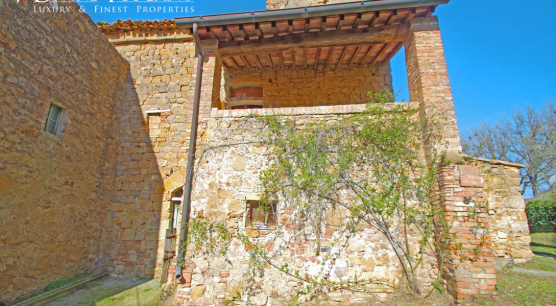 In a very spectacular location, with a direct view on Val d’Orcia and its landscape beauties, we introduce you this country house few kilometers far from Pienza and all the most important public services. 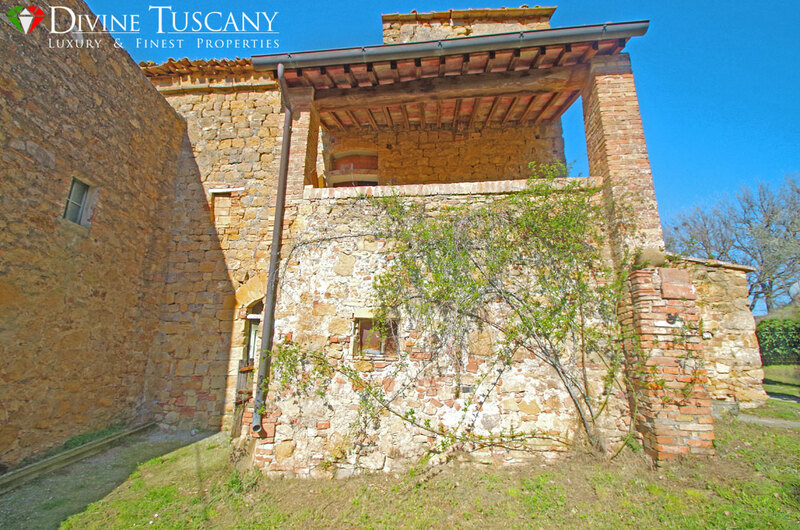 The property, with independent entrance and entirely fenced, preserve all the features of the ancient rustic Tuscan style such as the stone façade ,the exposed beams and terracotta floors. 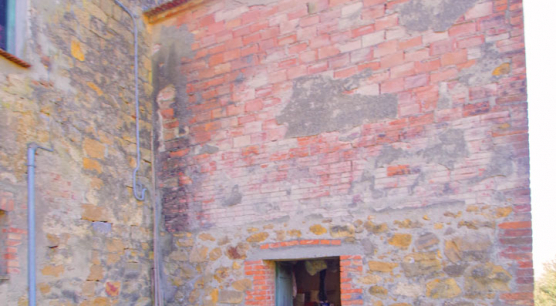 Developed on three levels, the country house is in the following way composed: on the ground floor there are many rooms actually used as deposit and the cellar with an ancient oven. A stone staircase reaches the first floor where a large living room with fireplace is located, a kitchen and three bedrooms. 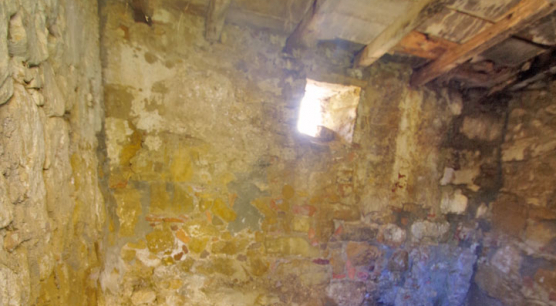 In the top floor there is an ancient sighting tower dating back to 1500 with a mezzanine floor. 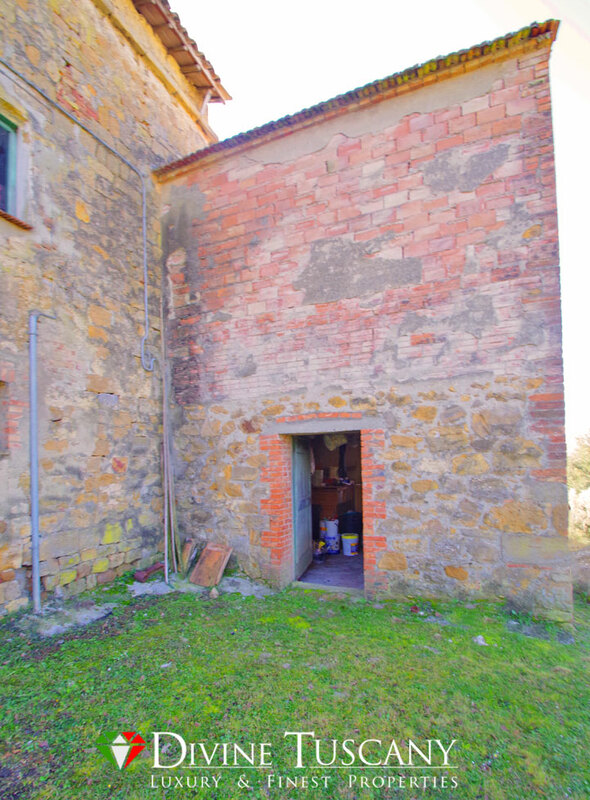 The country house also has 1,5 hectares of arable land and more 5 additional hectares to buy separately in case of need and four outbuildings currently used as agricultural sheds. The possibility to place a pool has been already considered. 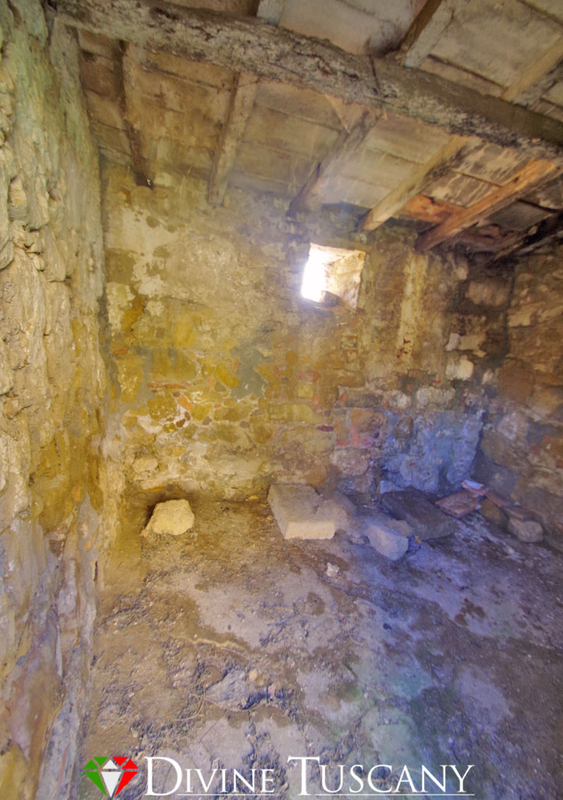 The property need a total renovation, it has no installations except for the electric one. Divine Tuscany & Finest Properties is the number one real estate agency in Tuscany: specialised in villas and old towns centres sales. We only propose certified properties.The others can sell what they want. But thanks to the Certified-Properties Italia patented method “ THOR-CONTROLLER ” ™ (www.certified-properties.com), we guarantee that our clients heading for a cocktail on the terrace, instead of off to the lawyer to solve their property problems.